"The fact that they would leak that we were flying commercial is a danger not only to us but to other people," she said, adding it was "very irresponsible on the part of the president." But she dodged a question about how she knew the administration was behind the leak. He also responded to the administration on Twitter, saying it was a lie. As speaker, Pelosi is the second in line to succeed the president, and travels with a security team and usually on planes provided by the military. 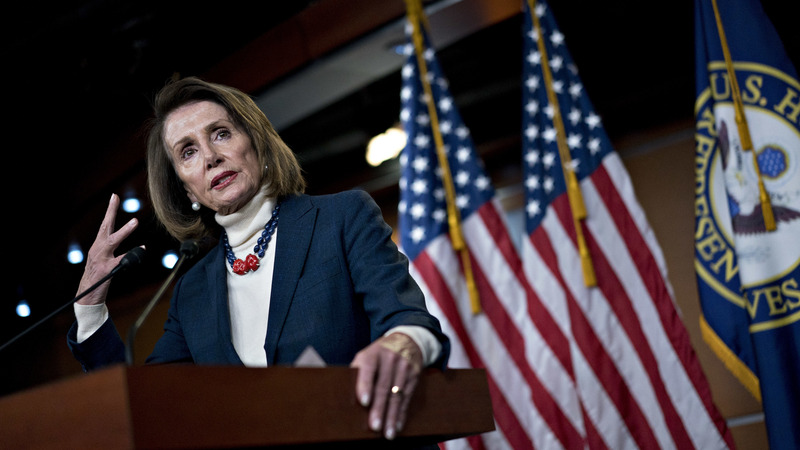 Pelosi's delegation had planned to visit U.S. troops in Afghanistan. She said it would have been here ninth trip there. The original plans also included a stop to meet with NATO leaders in Brussels. Trump on Thursday sent a letter to Pelosi calling the trip "a public relations event," and said it should wait until the government shutdown, now in its 28th day, ends. Trump's letter came a day after Pelosi wrote to Trump, suggesting he postpone his planned State of the Union address to Congress Jan. 29 because of the shutdown.